Best Self Improvement Books – Books to change your life! 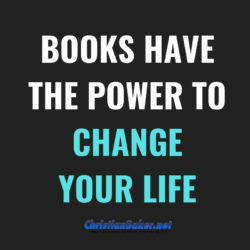 Books can change your life, and I often get asked which are the best self-improvement books to read. I often get asked what is the best self-improvement book to read? It was warren buffet who said.. I think of self-improvement, like improving your physical fitness, you wouldn’t go for a walk or one gym session and expect to hit your peak physical performance and your mindset is the same. There may be some books that will have a profound impact on you, but the best approach is to adopt a habit of continuous improvement. And even if you get just 1 new idea, 1 insight, then it’s been worth the investment. So, I encourage you to make a commitment, develop the habit to invest in yourself, keep learning, keep growing and keep developing yourself. I’m always having books recommended to me and previously I set the target to read one new book a week, but I fell very short, so for the next 12 months I’ve decided to go for 1 new book a month to start with, and as I get in this habit I may increase this as I go. This is the great thing about setting targets, you can always re-evaluate and evolve and change them as you go. Now it’s your turn, your welcome to join me for a book a month, or set your own target, either way choose what works for you, commit to it and make it happen. But regardless of how many books you read, they key is to take action, otherwise whatever you learn will just be a good idea, so remember it’s not what you know its what you do with what you know that matters! Before you go leave a comment and let me know what commitment your have decided to make and also, if you have any recommendations for self-improvement books, feel free to leave your suggestions below. Happy reading, and remember – What your mind believes you will achieve – so think differently, believe in yourself, take action and achieve the life you want!